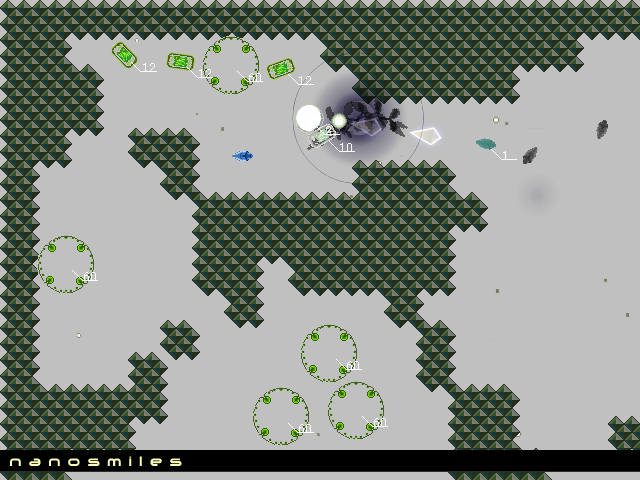 Nanosmiles is a new arena shooter from Yaruhara, in which players have to collect inactive options scattered around each area and use them to inflict damage on the enemies. Hold the Z key to activate your targetting system. Your weapons will automatically fire at targeted enemies if the same button is held down. Use the X key to make your ship travel quicker. This trial version for the upcoming Comiket 73 release has only four playable levels.